Ever wanted to decide where to eat? Or the professor you should take for that class next semester? Ask the world! Ever wanted to decide where to eat? Or the professor you should take for that class next semester? 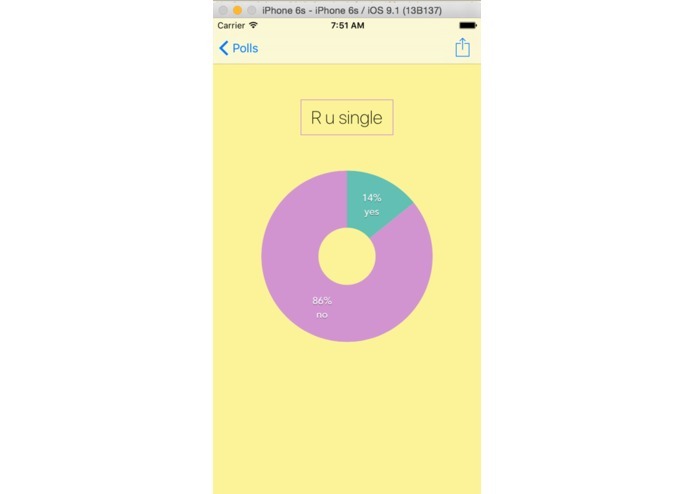 Ask the world or your friends with simpoll! 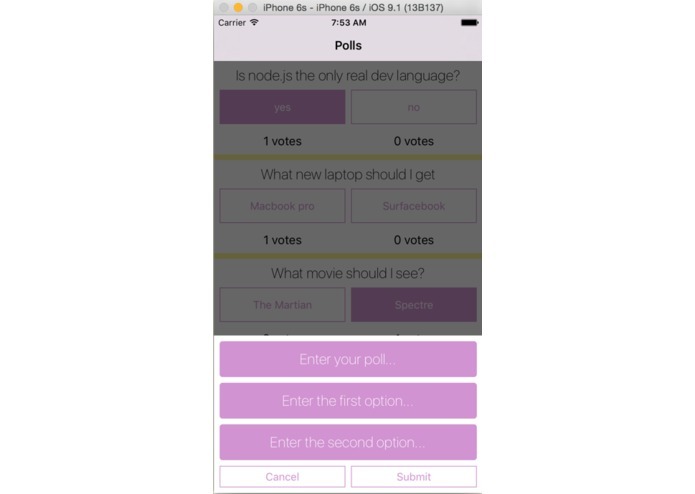 simpoll is a simple polling app to get simple answers to your simple questions. "Should I get a macbook pro or a surfacebook?" "What movie should I see? The Martian or Spectre?" "I'm a freshman, what should I major in? Comp Sci or English"? 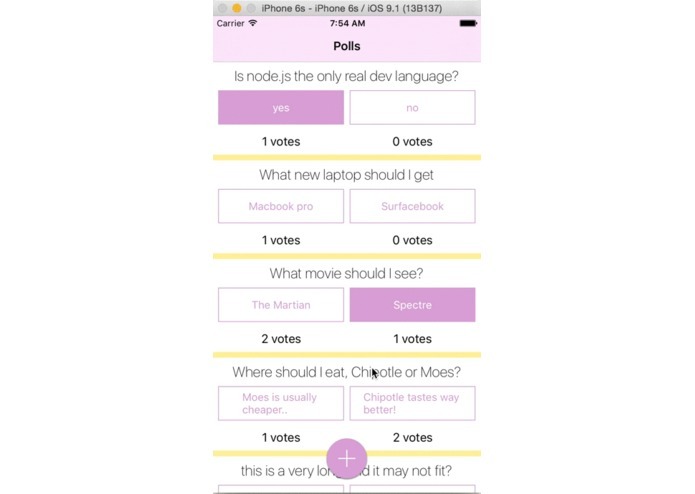 "Is node.js the only real dev language?" 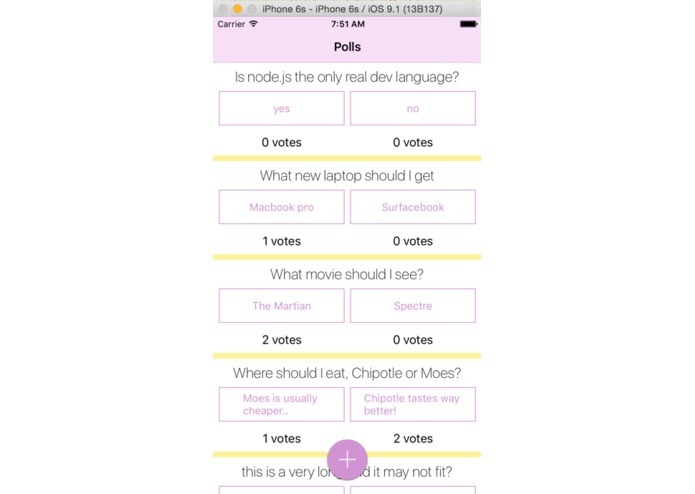 Share a poll with just your friends, or get votes from the public feed to answer your question! All running on a Microsoft Azure virtual machine! 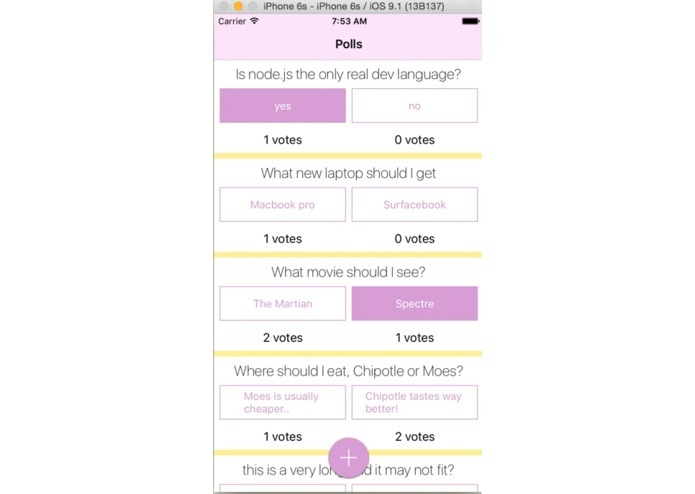 I wrote (and taught myself while writing) Swift to develop our native iOS app. And I designed the icon! I worked on the desktop site front end with MDL, AngularJS, JS, CSS, and HTML. Frontend, backend, mobile, middle end. All the ends I guess? 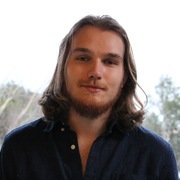 I worked on the backend (server-side) code in Python and Mongodb, using the framework flask, to create a RESTful API. I also helped with some AngularJS on the frontend.